Today, I visited “Chuukasoba Tsushima”. 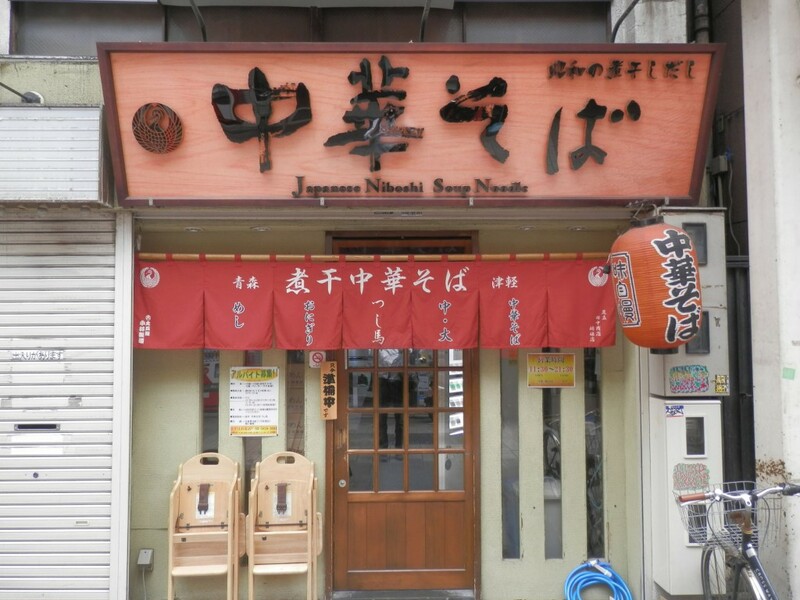 It was located 1～2 minutes walk from Asakusa station. There were only 6 guests in the shop at opening(11:30) and became full in 5 minutes. I bought a plastic ticket and sat at the table. What attracted me was boiled egg. 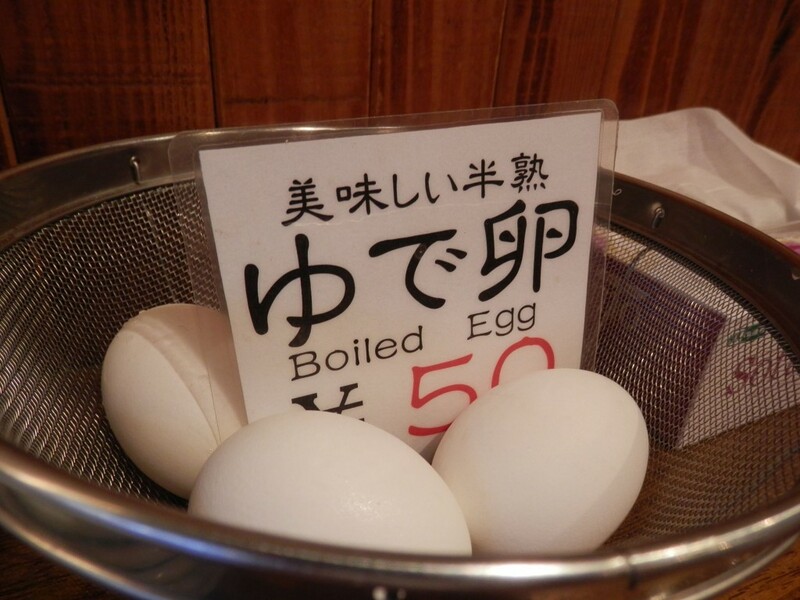 It used to be a familiar way of selling egg at ramen shop. 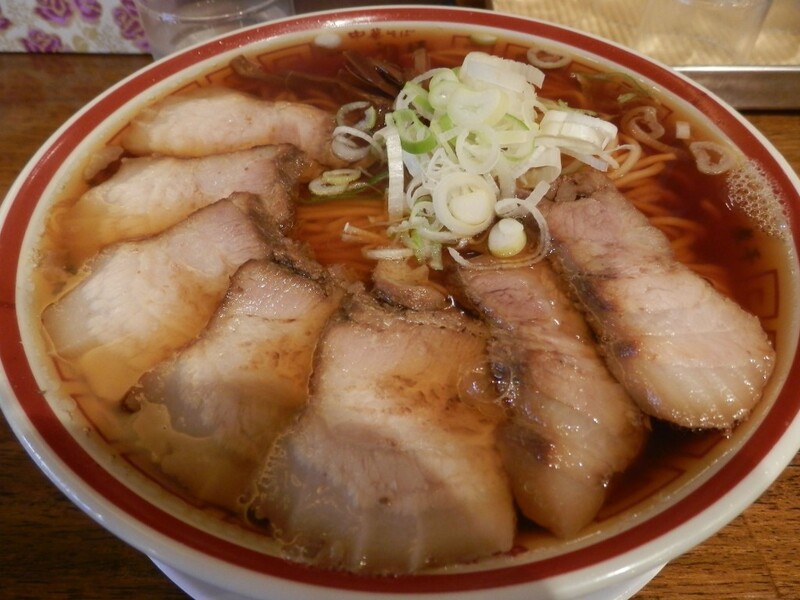 Here came ramen in 5 minutes. This was a chuukasoba large(￥880). Toppings were roasted pork fillet, welsh onion and bamboo shoots. 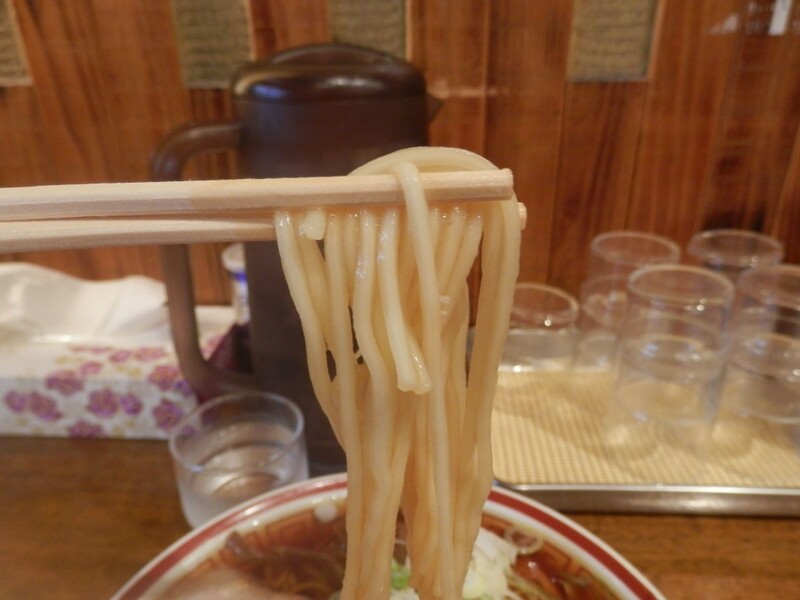 Noodle was middle thick and straight. Chewy and soft. It was more like Japanese udon. You could enjoy various feelings. small dried sardine gave you its rich taste and its flavor and sourness came later. You would never experience bitterness of small dried sardine. The more you had soup, the more you would see excellent quality of soup. Roasted pork fillet also had good balance of lean and fat. One thing you should know was large means extremely large here at this shop. Please be careful not to order large one if you were not big eater.